Have you ever wondered how important Time is for anyone who is in the Trucking Industry. Recently met a old friend of mine, who is a Truck Driver we had a short chat. He was accompanied by his fellow Trucker and that’s when I realized how hectic their lives are. Trucking is not a typically scheduled job, chaotic would be a more accurate description. Too many variables weather, loading and unloading delays, appointments, breakdowns, traffic, etc., Also depends on what you haul, Flat beds don’t usually get unloaded at night. Most shipping hubs are 24/7 but not all receivers. So Considering the fact that Truck Owners and Drivers have very less time to spend with their family, think how sad it would be if they are asked to stand in a long Queue in an IRS Office to file their HVUT Tax Form 2290, Which will take at least a day. Most annoying part is the confusing Tax calculations involved. 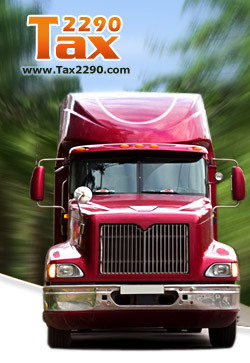 Thanks to www.Tax2290.com, which is considered as Trucker’s Best Friend that can save a lot of valuable time for Truck Driver’s and Truck Owner’s. Filing HVUT Tax Form 2290with Tax2290.com takes only 10 minutes and the stamped schedule 1 reaches their Email in minutes from filing. All the confusing Tax calculations are performed by the system itself and the Tax Jargon’s are broken down in to simple English. Not only Individual Owner Operators even CPA’s, Book Keepers and Attorney’s can file Tax Form 2290 to IRS through Tax2290.com for their clients. The Friendly Tax Expert team can be reached any time at 1-866-245-3918 by phone or can be Emailed 24/7 to support@taxexcise.com.